Dietary antioxidant supplements have been considered for the prevention of neuronal oxidative injury and death. Recent studies indicate that excessive antioxidants could exert adverse effects, thereby questioning the safety of prolonged supplementation. The aim of our study was to investigate the effects of quercetin (up to 150 μM), the ubiquitous plant-derived flavonoid and highly potent scavenger of reactive oxygen species (ROS) on healthy P19 neurons, in order to assess the efficacy and safety of its long-term use in neurodegenerative prevention. Although exposure for 24 h to quercetin did not compromise neuronal survival, morphological examination revealed diminished neuronal branching, a finding probably related to an observed decrease in lactate dehydrogenase activity. Using 2′,7′-dichlorofluorescin diacetate and dot–blot analysis, we found reduced basal levels of ROS and 4-hydroxy-2-nonenal, a biomarker of lipid peroxidation, confirming the antioxidative mechanism of quercetin action. Unexpectedly, quercetin also depleted intracellular glutathione content. Reverse transcriptase PCR and western blot analysis showed depletion of total RNA amount and changes in the expression of cell survival regulating genes Bcl-2, p53, and c-fos. Nuclear condensation and caspase-3/7 activity, phenomena related to programmed cell death cascade, were not affected. The potential risk of observed changes indicates that quercetin-enriched supplements should be taken with caution. 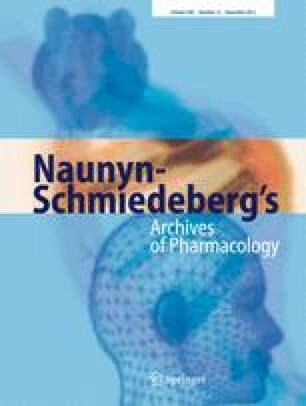 The diversity of quercetin effects and complexity of possible intracellular interactions between affected genes pointed out the necessity for additional pharmacological and toxicological studies in order to better elucidate the mechanisms of quercetin action and to recognize its potential side effects at higher doses and during long-term administration. Undifferentiated P19 cells were kindly provided by Dr. J. Pachernik (Prague, Czech Republic). The skilful technical assistance of Sanjica Rak and Lidija Milković is gratefully acknowledged. This study was supported by the Croatian Ministry of Science, Education, and Sports and the COST Action CM1001.